Hello, buongiorno, kalimera! I am a passionate and knowledgeable teacher of foreign languages, specialised in English as a second/foreign language, Italian and modern Greek. After studying Latin and ancient Greek for 5 years, I achieved a first-class honours degree in foreign languages and literature (2003) and, three years after, a PhD in the same subjects. I then specialised in teaching English both to adults (achieving the Cambridge CELTA in 2011 with grade 'A') and to children (successfully achieving the Cambridge Young Learner Extension in 2013). Teaching has been my passion for the past 13 years. Such a long, pleasant and successful career helped me gain experience in different contexts, teaching different ages and different levels. I taught English and modern Greek at the primary school, high school, University, for local associations and through 1-2-1 lessons. I also taught English at the nursery school and I greatly enjoyed teaching very young learners. I taught Italian to children and adults and Latin and ancient Greek through 1-2-1 lessons and to small groups too. I am used to organising classes of holiday Greek and holiday Italian in a relaxed yet structured learning environment, as well as prepare students for examinations in all the three languages I teach, dealing with targets and tight deadlines. The first (and most important!) step for me is to understand what my students need from our lessons. According to this initial needs analysis, I plan our classes and I provide my students with well-structured, interactive, productive and pleasant lessons. I have a very caring approach, esp. with young and very young learners, and I periodically discuss my students' progress with them (or their parents) to set new targets and challenges and to make the learning process as structured and fun at the same time as possible. My students have always praised my passion, dedication, commitment, professionalism, respect, friendliness and ability to build rapport and understand them, as well as my firmness and my idea of teaching as a ‘mission’. FedericaFrom Ross (5/5): Federica is a fantastic tutor, she works planning the lessons and gives great feedback and encouragement. FedericaFrom Karen (5/5): I honestly could not recommend Federica highly enough! She is an excellent teacher and I look forward to our classes every week. If you want to learn Italian , Federica is the teacher you want!! FedericaFrom Geraldine (5/5): Federica is a wonderful teacher - so encouraging and patience with an innate understanding of the student's needs. I so look forward to our lessons and would highly recommend her. FedericaFrom Lara (5/5): Federica was a good tutor for my son. He found her lessons interesting and informative. Unfortunately, just as they got into a rhythm Federica decided to change careers. FedericaFrom Maria (5/5): I had my first session with Federica on Friday. I was nervous prior to the lesson but needn't have been! Federica was excellent. She made me feel very at ease and I settled into the lesson immediately, talking Italian for the whole hour, which flew by. Can't wait for the next lesson and would highly recommend Federica! FedericaFrom Tim (5/5): Federica is a skilled teacher - very encouraging and responsive to my needs and limitations. She is flexible in agreeing appointments which was critically important to me. She is creative in her approach and soon got me conversing in Italian in spite of my lack of confidence. FedericaFrom Steffan (5/5): It was a great joy to have been given the chance to learn under Federica. I was very apprehensive of learning a language, as past experiences with school had put me off entirely. However, Federica has completely changed this, and has given me exactly what I need to continue with my Italian learning. Thank you! FedericaFrom Paula (5/5): My husband Chris and I have been having Italian lessons with Federica for five weeks now. We cannot recommend her highly enough. Her lessons are structured with such thought and skill that you actually forget you are learning a foreign language. They are so much fun. We are amazed by the progress we have made in such a short space of time. Federica has all the typical traits of highly successful people - she makes everything appear easy. FedericaFrom Megan (5/5): In the short time I have been having lessons with Federica my Italian has improved enormously. Her tutoring is informative, enthusiastic and positive. I cannot recommend Federica highly enough, grazie mille. FedericaFrom Irene (5/5): Federica has been the best tutor my son (11 years old) has had. Initially he was apprehensive to the idea of learning Latin. Federica's approach and fantastic teaching skills won him over. Latin is one of his favourite subjects now. Federica sends extra work during the week( at no extra cost) and has given us the permission to e- mail or phone her if my son has difficulty during the week. All I can say is that she is FANTASTIC!!! FedericaFrom Sara (5/5): Federica has been fantastic since first contact. She is very precise, enthusiastic about her teaching and gets great results. She is currently teaching my daughter and preparing her for exams in Italian. My daughters confidence and skills in the language have already improved and she tells me Federica is very supportive not only during skype lessons but also through email if she gets stuck on anything. FedericaFrom Beryl (5/5): Federica is just amazing, I wish I had met her earlier! Her style of teaching is engaging, enthusiastic and fun & I actually look forward to our lessons. She has a great skill of motivating and encouraging you and you feel her passion and love for teaching. I highly recommend her. FedericaFrom Joseph (5/5): I could not speak highly enough about Federica. Facilitates what the student wants to learn and makes it fun, interesting exciting and hugely rewarding in the process. She can also think outside the box a trait that I value very highely. 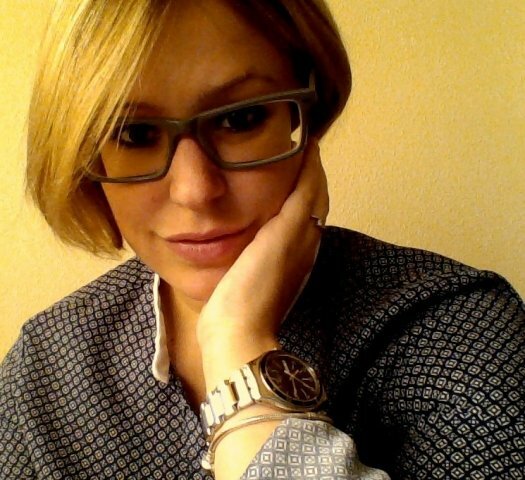 Federica leaves you at the end of each lesson with the desire to learn more!!! FedericaFrom Nicholas (5/5): Federica is a very charming and dedicated teacher. She has a great zest for life and teaching, and has a clear interest in people. She is talented; able to bring dry topics alive with a varied and broad approach which makes learning interesting and fun. I recommend her highly. FedericaFrom Norman (5/5): A very knowledgable tutor with an inspiring personality and an excellent teaching manner. I made the right choice! FedericaFrom Richard (5/5): Very good teacher, putting in good prep work before each session. My learning has really accelerated. FedericaFrom Valerie (5/5): Federica is a fantastic teacher, very professional, well organised, and flexible when necessary. Our lessons are well planned, using various reference material, both printed and online. I have thoroughly enjoyed the experience and feel confident that I have very quickly gained a good level of understanding and the ability to communicate in Italian. I plan to continue with further lessons with Federica over the winter months. Federica is passionate about teaching her beautiful language, and I am happy to recommend her highly to anyone wishing to learn Italian. FedericaFrom Steve (5/5): Excellent tutor . Really well organized and personable too. Federica is fluent in English and has really helped C with her GCSE Italian. We can highly recommend her in terms of tutoring ability and friendly personality.